The PE9-C is a pyroelectric energy meter for low energies with an 8mm aperture. It can measure laser energies from 0.2µJ up to 1mJ. It can operate at repetition rates up to 25kHz and covers the spectral range from 0.15 – 12µm. The sensor comes with a standard 1.5 meter cable for connecting to a meter or PC interface. Please contact us for further information on this product. Plugs in between the PE sensor and power meter. Provides BNC output to scope to see every pulse up to the maximum frequency of the sensor. This fiber adapter is used for connecting power and energy sensors to a standard SC-type fiber. Many sensors need an additional mounting bracket to connect to all fiber adapters. More information can be found in the datasheet below. This fiber adapter is used for connecting power and energy sensors to a standard ST-type fiber. Many sensors need an additional mounting bracket to connect to all fiber adapters. More information can be found in the datasheet below. This fiber adapter is used for connecting power and energy sensors to a standard FC-type fiber. Many sensors need an additional mounting bracket to connect to all fiber adapters. More information can be found in the datasheet below. This fiber adapter is used for connecting power and energy sensors to a standard SMA-type fiber. Many sensors need an additional mounting bracket to connect to all fiber adapters. More information can be found in the datasheet below. A mounting bracket is needed to connect most power and energy sensors to a fiber adapter (SC, ST, FC or SMA). This bracket can be used for pyroelectric energy sensors in the PE9, PE10 and PE25 series. It is not compatible with diffuser-equipped sensors. Beam Splitter Assembly to measure pulsed laser sources too energetic for direct measurement. 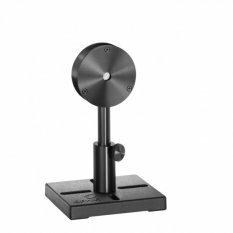 The reading with the Beam Splitter can be calibrated by setting the laser to a lower energy that will not damage the sensor and then taking a measurement with the beam splitter and without and taking the ratio. Test plates with same absorber coating as the sensor. For testing that laser beam is not above damage threshold (1such plate is included with sensor package). The adapter plugs between the Nova D15 socket and the smart plug of the PE-C sensor to allow the Nova to operate with PE-C series sensors. See PE-C spec sheet for details. The newer PE-C series sensors have a φ62mm diameter. The older PE series sensors have a φ85mm diameter. This adapter allows using the PE-C type sensors in jigs and setups that were originally designed for PE sensors. 3m cable to connect sensor to power meter or interface. Order along with sensor to receive this instead of the standard 1.5m cable. 5m cable to connect sensor to power meter or interface. Order along with sensor to receive this instead of the standard 1.5m cable. 10m cable to connect sensor to power meter or interface. Order along with sensor to receive this instead of the standard 1.5m cable.